The East African Community Sectoral Council meeting on inter-state security has resolved to step up joint security operations and training to facilitate the region’s speedy economic integration. Among major threats identified include human and drug trafficking, terrorism, cyber crimes, piracy, counterfeit goods, vehicle thefts, insecurity in Lake Victoria and other waterways as well as the illegal possession of small arms and light weapons (SALWs). Others include money laundering, smuggling across borders, cattle rustling and terrorism, a report from the East African News Agency (EANA) said. When opening the meeting, the EAC Deputy Secretary General in charge of Political Federation, Beatrice Kiraso, stated that East Africa had become a convenient transit route for human and drug trafficking, which she added does not augur well for the region if it was to attract investments and tourism. Among the recommendations of the just ended meeting, the ministers have approved ratification and immediate implementation of the EAC Protocol on Combating Drug Trafficking and the Eastern African Police Chiefs Organisation (EAPCCO) recommendation on human trafficking. 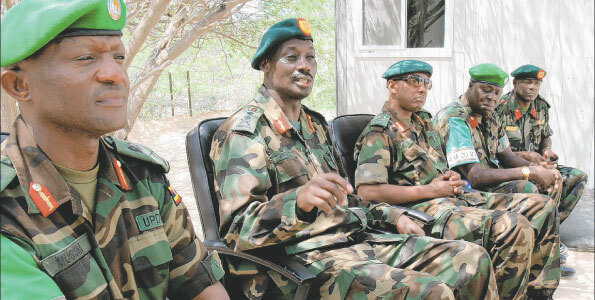 Regarding the looming terrorism threats in East African countries, the security bosses have agreed for regional joint mechanism and exchange of swift intelligence details. On vehicle thefts, the ministers directed Partner States to domesticate the EAPCCO clearance certificate in their laws and commence implementation of the certificate by January 1, 2012 in consultation with their respective revenue authorities. The sectoral council, which brings together the EAC ministers related to home affairs and internal security, has also resolved to work together, including sharing of intelligence information and capacity building, to combat these rising crimes in the EA countries. The ministers have agreed that the security organs be involved in implementing the EAC Customs Union and the Common Market. “They have identified different threats which will be dealt with and which are supposed to protect the EAC Customs Union as well as Common Market Protocol implementation,” Leonard Onyonyi, EAC’s expert on Small Arms and Light Weapons, told the EANA in Arusha, Tanzania. He said the measures approved would commence immediately and an evaluation would be undertaken in a year’s time. Regarding the marking of small arms and light weapons across the region, Onyonyi said more was needed be done to meet a December 31 deadline for the completion of the exercise. “We don’t see it being through then; perhaps 15 per cent across the region on average have been covered; there is still quite a lot of work to be done,” Onyonyi said. He attributed slowness in the weapon-marking exercise to a limited number of marking equipment, which he said each of the EAC countries — Burundi, Kenya, Rwanda, Tanzania and Uganda — has only three of them. “In most partner states, they have completed marking police arms; they have to move to other security agencies before they go to civilians owned fire arms,” Onyonyi said. “Peace and Security are pre-requisites for the successful EAC integration. For this reason, we must put in place frameworks and other modalities for cooperation to address issues of peace and security in order to achieve development in our region,’’ said Alain Bunyoni, the Chairman of the EAC Inter-State Sectoral Council meeting, who is also Burundi’s Minister for Public Security. Burundi chaired the meeting by virtue of rotating annual Summit Chairmanship currently held by President Pierre Nkurunziza.